The Manchester United starlet received a euphoric ovation at Old Trafford but stayed on the bench throughout the 90 minutes. After many feuds between the Manchester United gaffer Jose Mourinho and fan-favourite Anthony Martial during pre-season, a claim from Mourinho has taken many by surprise. 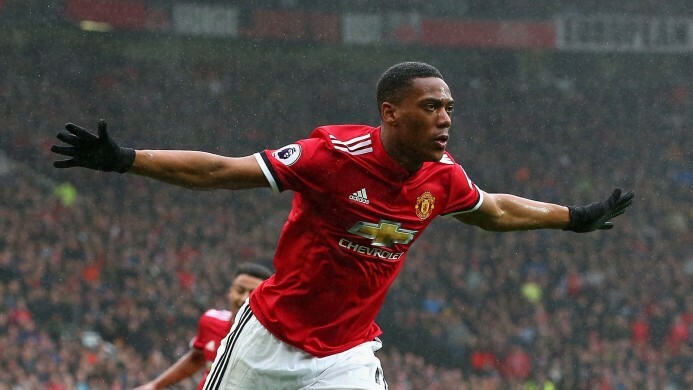 He agreed after the Premier League season opener against Leicester City that he wanted to bring Martial on to end the game as quickly as possible. United got past Leicester quite smoothly with a playing XI that had eight players from the pre-season in the US. Marcus Rashford and Victor Lindelof started in the last pre-season friendly against Bayern Munich, while Paul Pogba played his first game since the World Cup final on 15th July 2018. Rashford seemed to have picked up a knock midway through the first half and it seemed he was calling for an early substitution. Eventually, Romelu Lukaku came on for him in the second half. Scott McTominay also replaced Fred on 75 minutes, but Mourinho contemplated introducing Martial before he opted for Marouane Fellaini as his final substitution. "I think we will have the same players," Mourinho added of United's next fixture at Brighton on Sunday week. "The injured players are not going to be back, we have Paul with nine days training, Rashford with 11 days training, Fellaini with nine days training and of course, we will be in a better condition. "I don't remember in my career to be so much in trouble to make changes because I want to make five or six and I have only three. 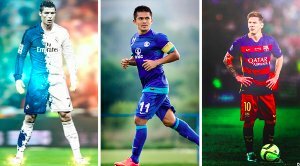 I had players in difficulty, I need to make changes, I want to make tactical changes that I don't make because I am afraid of how the players would react," he said while talking to M.E.N. "I wanted to play Martial and in a certain minute, a certain moment of the game, he was perfect to stretch the game get them in the counter and I was afraid to play him because I knew that Paul couldn't resist for 90 and Fred would be in trouble." "So, was difficult for everybody but the players gave absolutely everything, the match was good, the referee was, as always, very good and Leicester very good, too. Good work by Claude and very good players and fantastic investment, amazing squad, for sure they're going to have a very good season." Luke Shaw scored his first career goal in his 134th performance to cap an encouraging performance at left-back. Shaw, 23, has regained his place in the side despite United considering options to replace him for upwards of 18 months and Mourinho hailed a 'complete' display. "The game was very complete," Mourinho said of Shaw's efforts. "Even if I forget the goal, of course, an important goal for us, but the performance was very complete, I think one defensive mistake and probably the linesman could help him and give a free-kick against Leicester. "But very, very complete performance, he just has to keep going. The mentality was very good, the tactical discipline was very good, too, and he had the power to move forward and score an important goal for us." Manchester United will visit Brighton on 19th August and will hope for a better availability of squad.